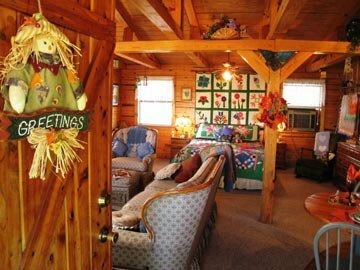 Experience Aunt Jan's Cozy Cabin Bed & Breakfast in Spiro for some much needed rest and relaxation or as a romantic getaway. 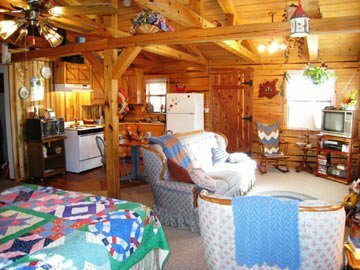 Located on a 110 acre cattle ranch, guests will enjoy nature by hiking wooded ridges, fishing, playing basketball, bird watching or relaxing in a private hot tub or on a porch swing. 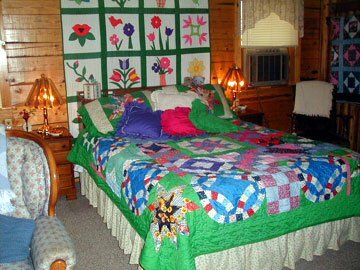 This romantic getaway is features high ceiling beams, handmade quilts and baskets and country furnishings. A spacious bedroom, living and well equipped kitchen will ensure that guests have everything they need for a comfortable getaway. A delicious country breakfast is served. 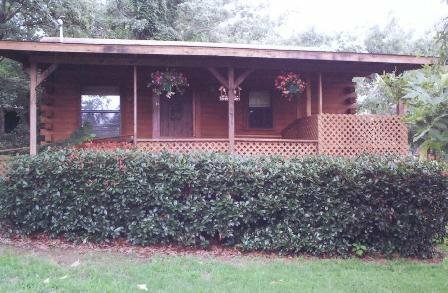 Amenities include a TV with VCR, DVD and CD players, as well as an extensive movie library and outdoor grill. All guests are treated with special touches such as fresh flowers, baked goods and sparkling juices. Pets allowed outside only. 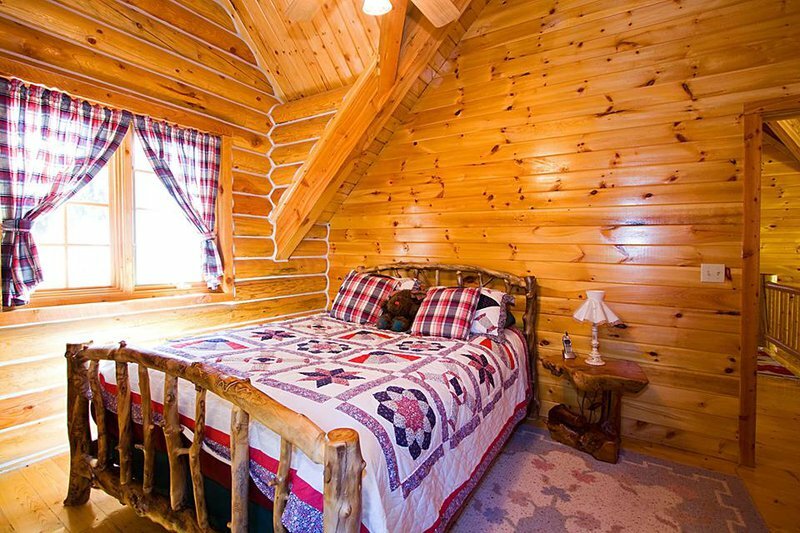 Lake Wister, Kerr Lake and many area attractions are just minutes away. Take I-40 E to the first Sallisaw exit (sign says Poteau). Turn right on Hwy 59 S, go approx 13 miles until junction of Hwy 9 & 59. Turn left, go 6 miles east to the intersection of Hwy 271 & 59 at a four-way stop. (There will be a large truck stop on the right). Turn right, go south on 271 & 59 approx 2 1/2 miles. There will be a sign on the right. Go 1/2 mile and the house and cabin are on the right.